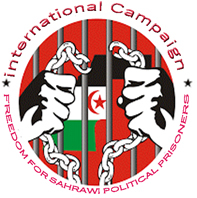 Spanish Workers' Commissions reaffirms its total support to Sahrawi people struggle ". The meeting, which took place at the headquarters of the union, served to assess the current situation, with special emphasis on the occupied Territories, in the refugee camps and the battle in European courts to nullify the illegal inclusion of the Sahara Western in any commercial agreement between the European Union and the Kingdom of Morocco. Jira Bulahi, Representative of the Frente POLISARIO, highlighted the historic support of CCOO and the accompaniment to the Saharawi struggle, noting that the organization "has always been present in all the initiatives aimed at defending the Sahrawi right to self-determination and independence." The Saharawi representative also pointed out the need to redouble efforts to denounce the serious situation in the occupied Territories, defend the rights of the Sahrawi workers and intensify the work with the Sahrawi trade union, UGTSARIO. For her part, the Secretary of International and Cooperation of CCOO, Cristina Faciaben, reaffirmed that the "commitment to the Sahrawi struggle is total" renewing the obligation of the union to continue accompanying the Sahrawi struggle in all areas. In this sense, the responsible for Arab countries, Africa and Asia, Alejandra Ortega, criticized the Spanish State for "compliance with law 27/2011, regarding the Sahrawi workers in Spanish companies" before the Madrid illegal tripartite treaty, indicating that CCOO will continue to advocate for Spain to assume its responsibilities and comply with its obligations.